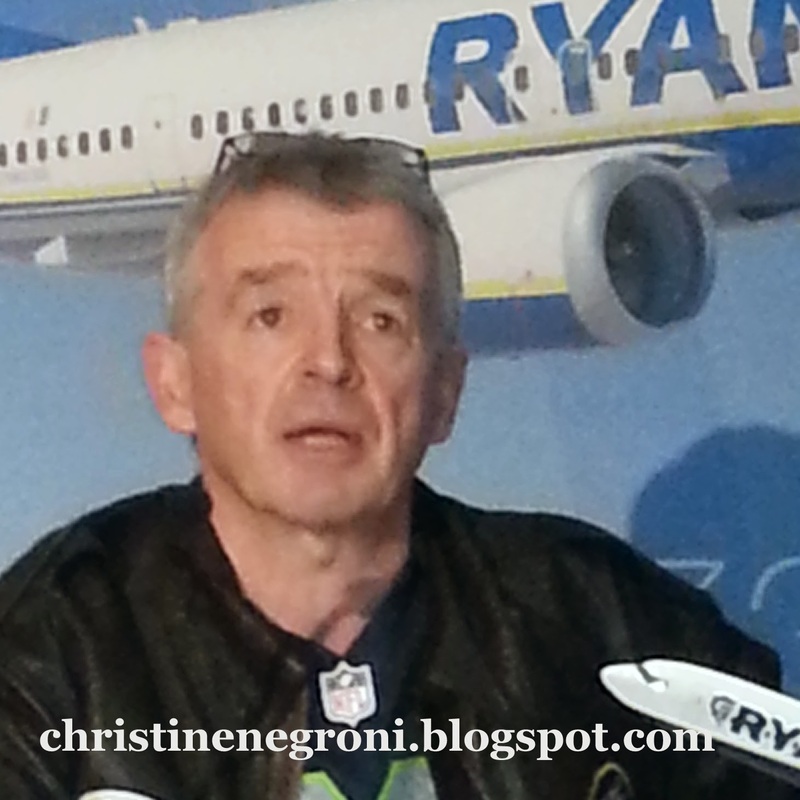 An Irish friend of mine told me many years ago to think twice before dismissing Michael O’Leary, the face and chief executive of Europe's largest low-cost carrier, Ryanair. At the time, O'Leary was relatively unknown outside of Ireland. And while I took that advice, I have over the years, poked him for his headline-grabbing antics and the ridiculous, combative and sometimes even vulgar comments he is wont to make. Flight attendants should learn how to land airplanes so Ryanair could eliminate the second pilot was one outrageous idea he championed. Standing seats should be installed on airplanes in order to make room for more fare-paying passengers was another. His proposal to eliminate the potty on board or charge for its use made O'Leary air travel's bad-boy as the idea ricocheted around the globe. 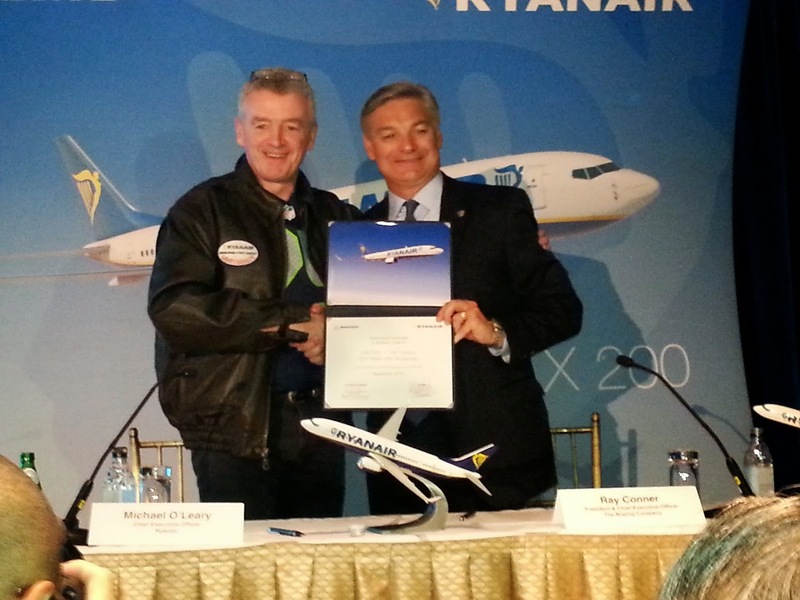 O’Leary confessed to me those were “Wheeze” statements, (note to readers, wheeze is a British expression for a "clever or amusing scheme or trick uttered to generate publicity" according to audioenglish.org) And while O’Leary may never have considered any of those ideas literally, at a news conference with Boeing held in New York this morning, the former accountant turned airline boss made it clear; all he’s really wanted for Christmas was to get more passengers on his airplanes so he can make more money. “I feel like a child whose woken on Christmas morning to find Santa has given him exactly what he asked for," O'Leary said in announcing with Boeing's Ray Conner, the airline's planned purchase of 200 Boeing 737 Max-200s. Lean, unlined, clean-shaven and with little white hair to speak of, Conner fits no version of Santa Claus I’m familiar with but indeed, to make O’Leary happy, the president of Boeing Commercial Airplanes presided over a redesign of the still-under-development Boeing 737 Max. Add a mid fuselage door, remove one forward and one aft galley and voila, a 197 passenger short-to medium haul airliner. “It’s entirely justified," O'Leary explained later. "The seven extra seats are worth about a million dollars a year to me,” per plane. 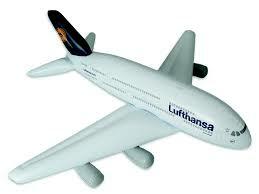 Boeing executives also seem to be feeling a little bit like Christmas arrived early. Of the plane designed for O'Leary, Conner told me, “All the low cost carriers there are around the world, every one is a potential candidate,” for the dash 200. “It is 20 percent more operating cost advantage and you can take that advantage against any airline flying something with less seats in it." The news conference, held in New York City’s Palace Hotel on Madison Avenue, was a posh contrast to the no-frills business model on which O’Leary and Boeing are banking. Was it coincidence then that just today Jay Sorensen’s IdeaWorks CarTrawlerYearbook ofAncillary Revenue reported that the amount of money each airline passenger spends over and above the ticket price rose to $16 in 2013? Ryanair ranks 5th among the top ten airlines for ancillary revenue generation, earning $1,689,457,120 last year according to the report. Perhaps he’s inspired by those eye-popping numbers. Perhaps he’s just feeling generous in light of receiving the gift he’s always wanted, or because he dodged the coal in his stocking that is due to mischievous, bad boys. But before he cleared out of the Palace to meet with investors, O’Leary made a promise to his customers. 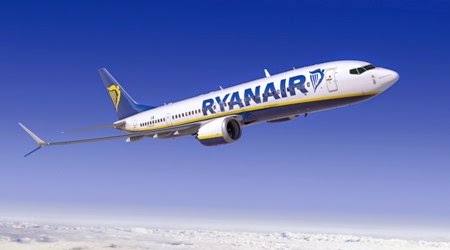 “You can assume bathrooms remain on the aircraft and I guarantee free access to all those bathrooms,” he said, adding, the new Ryanair has “run out of road” on wheeze of threatening passengers that they cannot wizz on Ryanair flights. But when I asked if, given his new built-just-for-him airplane, he was ready to give up on all the gimmicks, his denial was clear. "We just need a new PR wheeze," he said. No, now would not be the time to dismiss Michael O'Leary. The wheeze to wizz - I couldn't have resisted either. Don't dismiss him, but don't make the mistake of respecting him either. He is a sociopath. He runs a company which is hell-bent on turning airline work into sweatshop labor. He takes desperate young people from countries whose economies have crashed, acts like he's some kind of savior for offering them a job, then makes their life hell, working under insane pressure for a non-living wage. He is also an inveterate liar, caught many times in the media saying things that aren't at all true, laughing it off later in a "catch me if you can" con-artist sort of shrug. If this is a businessman, then Stalin was a philanthropist.